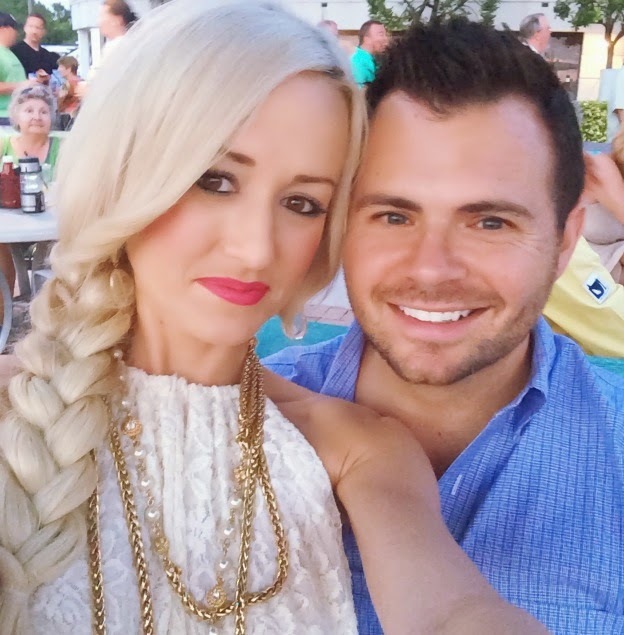 We had such a fun and relaxing time in Key West over the weekend. We really don't live all that far and it still felt like a getaway. We hadn't been to the Keys in years. But we both left saying why don't we come here more often? So we are already planning out next trip. We spent the majority of the weekend laying by the pool. It was so nice! I love Key West! Definitely a favorite getaway for me and my husband. If you have not ever stayed at the Casa Marina, put it on your list for your next visit. It has a private beach-so great! We live in Weston and try to get to Key West as much as we can. It has such a beach bum, casual vibe that is very different from the beaches around here. I've been to Key West twice and LOVE it. I love your polka dot suit! So cute! So cute!! Looks like you guys had a blast! I love Key West too! One of my friend's got married there and it was one of the best weekends I've ever had. Love both of your bathing suits! Very cute!! I would LOVE a weekend getaway with my husband in the Keys. Still waiting on the perfect timing. Ha! Love your fun outfits and bathing suits in the Keys! You look great in everything :) Definately want to make it to the Keys soon with my hubby. I have heard so many great things! looks so fun! I am loving that nanette lapore one piece! and of course, that tory burch wallet. Gorgeous pictures, hope you had a relaxing time- you deserve it! Beautiful photos - love your polka dot bathing suit! Looks like such a fun time! Glad you enjoyed yourselves. Love all of your suits! Aghhh! I LOVE the Keys. My boyfriend and I have gone the last three years and it's so chill and relaxing. Both of your suits are adorable! Looks like a lot of fun! That polka dot swimsuit with the heart cut out is ADORABLE! Love the pictures! I've been dying to get to Key West, and these pictures make me plan a trip even more! Thanks for sharing! Great pics! It looks like such a fun trip! I love both of your bathing suits! Great photos! I love your swim suit! You look beautiful!! Your photos are great!!! Love these photos- especially the heart one- so gorgeous! The countdown is really on for our holiday now...I need a break and some sun! !